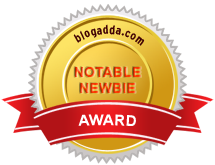 I like reading fiction and when I saw this book was up for review on Indiblogger, I quickly grabbed my copy. This is the first book by the Author Yashodhara Lal. She was a marketing professional and an IIM graduate. And she also writes at her blog ‘Y on earth Not’. Most of the Fiction books talk about a girl and boy falling in love, convincing parents, fighting the odds and getting married and then living happily ever after. But do they really live happily ever after; this is the book which tells the story of that happily ever after phase, or not so happily ever after phase. This is the story of urban Indian couple. Who is well educated, working in MNC, but from two completely different backgrounds. Yashodhara (Y) is a Delhi girl with an MBA from IIM, while Vijay is 7 years older than her and belongs to a rather old-fashioned Jaipur based pure vegetarian Brahmin family. They meet at their work place, and just after 3 months of dating Vijay propose to Yashodhara. In her early twenties, Yashodhara wants to stay away from marriage for few years or may be throughout her life. However finally these two opposites settle down in a marriage, but do opposites really attract, well not always. The life of Y and Vijay is like any newly married couple these days. Working couple, both have their opinion in everything, and both wants to win every argument. From selecting curtains for their house to keeping name for their newborn, they rarely agree on one thing. But their small-small arguments are not heated arguments always, it makes the reader laugh. The other characters in this book are also interesting and will sound very close to real life. Some incidents in the book are really very funny. Like, Vijay’s love for Alu Gobhi and everyone’s enthusiasm to feed him alu gobhi. Yashodhara’s mom googling the lyrics of the song to prove she is right. And, the conversation between Vijay and Kajal are always hilarious. But if I am asked, other than the fun what I got out of this book, then that will be the statement made my Yashodhara’s mother-in-law about marriage “Ladne ki kya baat hain? Arrey, kabhi main maan jaati hoon, kabhi wo maan jaate hain”. This one is the very simple but powerful mantra behind every successful marriage. For me in whole this book was a joy ride. I enjoyed reading it. And being a newly wedded (1 year in marriage is still new rightJ) myself I was able to relate to the story very well. 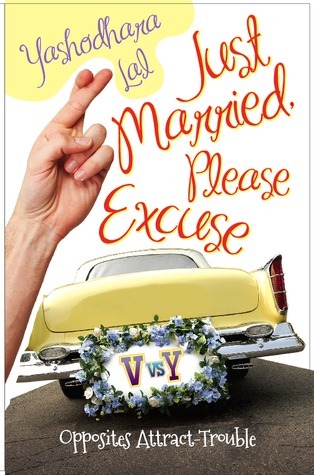 I had so much fun reading this book and I will recommend this book to all newly married couples and everyone else who wants to take a fun break. I sat in the waiting lounge of the airport and switched on my laptop, while Vinit went to get coffee for us. I logged on to check my emails and saw an email from my best friend Natasha. She asked me how I and Vinit are doing together, and how our honeymoon was. 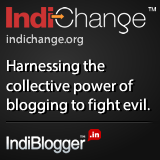 I smiled as I read her email and leaned back in my seat, remembering how I married Vinit. Our's was an arranged marriage, where I got to meet Vinit first time on our engagement day. We talked over phone for some 2 weeks and then got married. During one of such conversation Vinit asked me, where I would like to go for our honeymoon. I wanted to go near sea, some romantic place, some place which is rich in art and culture and can satisfy the art lover in me. On the other hand Vinit having a love for photography, wanted to go to some place which has picturesque beauty, amazing landscapes, lush green parks & wild life sanctuaries. After a lot of searching we finalized on Melbourne “the cultural capital of Australia”. When I came to know that we will be going to Melbourne, I watched one of my favorite Bollywood movies “Salam Namaste” once again, as that film’s entire shooting was done in Melbourne. Two days after our wedding we started for our honeymoon. We were not very distant from each other, but still we were in the exploring phase of our relationship. After some 20 hour long flight we reached Melbourne. We both were very excited and were looking forward to an eventful day. We decided to start our sightseeing by paying a visit to Melbourne museum, as there is no other better place than museum to know the history and culture of a city. I was taking keen interest in knowing the antiquity of the city, while Vinit looked little board. To cheer him up we went to the IMEX cinemas inside the museum, it was really huge and gave a real life experience. That day we also visited St Patrick's Cathedral. It was a place soaked in silence and absolute beauty. When I saw Vinit on his knees, I discovered the spiritual side of him. Unlike many guys of today who don’t believe in god, I got a man who likes to worship. Next day Vinit took over and planned to go to Melbourne aquarium. This was first time for me to see such big aquarium. And 360 degree Oceanarium was a real treat indeed. I held Vinit tight in excitement when I saw shark, for which he made fun of me, saying that I was scared of the shark. After the aquarium we had some quick bits and headed to the Crown Entertainment complex. That place had some luxury world class hotels. I was amazed to see the structural masterpiece, when Vinit said “let’s do some gambling, what say?”. In few minutes we were inside one of the casino, we had so much fun there. I gambled for the first time in my life and won too. I was very happy and teased Vinit for losing twice. Now we were even on the teasing part, our comfort level was increasing. Our third day in Melbourne was dedicated to nature. We left early morning for the Healesville Sanctuary, best place to see Australian wildlife in their natural surroundings. We got to see koalas, kangaroos, wombats, emus, dingoes and many more. Vinit was enjoying the wildlife photography extravagance and I was busy admiring the nature and Vinit’s photography. After lunch Vinit said that he has a surprise for me and we headed to Sovereign Hill. It was just like stepping back in time of Goldrush during the 1850s. At night we got to see the sound and light show 'Blood on the Southern Cross' - the legendary story of the 1854 Eureka Uprising, a great Australian drama. I loved it, and Vinit was happy that I did. Melbourne hosts numerous festivals throughout the year. And as we were in Melbourne in the month of March, we got to witness the Moomba festival. This is Australia's largest free community festival, including the Moomba parade, crowning of Moomba monarchs, fireworks displays, and river activities including watersports, water floats, the birdman rally, as well as live music and bands. We had so much fun there, and explored the fun side of the city and each other. Next morning we woke up really early, as this was our last day in Melbourne, we did not wanted to miss the Balloon Flights over Melbourne. That was just awesome. We were enjoying the thrill of hot air ballooning over Melbourne at sunrise. We saw the Melbourne Cricket Ground from top and Vinit informed me that this was one of the best venues for cricket in the world. He told me that 2006 common wealth games were held in Melbourne and that is when he discovered much in detail about the city. I was really impressed with his knowledge about the city. 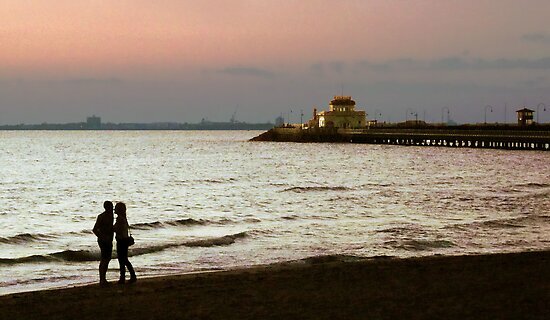 Later that day we went to St Kilda Beach, we took a ferry tour and then came back to the beach to see the sunset. That was a lovely evening, and that being our last night in the city we decided to take a walk along the beach. We talked about our likes-dislikes, friends & family, hobbies, school and college days. When I got tired walking and requested Vinit to sit somewhere, we sat on the beach, admiring the beautiful sunset. I was sinking the beauty of the sea and the sunset, when Vinit said something. Because of the roaring sea I could not here what he said and faced him to ask pardon. Due to wind and my hair were disturbing me, Vinit gently tucked my hair behind my ear, and held my face in his hands. That was one of the best moments of my life; he kissed me softly and said the 3 magical words in my ear. I blushed, and hide my face in his chest in agreement. That was the best day of my life, the day I always dreamed of. Melbourne became a city which not only gave us beautiful memories but introduced us to our love for each other. I was lost in my memory lane and was smiling to myself when Vinit’s touch brought me back in present. “What happened honey, what are you smiling at?” he handed over the coffee to me. I sipped my coffee and started typing my reply to Natasha. I told her how amazing this one week was and how wonderful person Vinit is. I told her that I am bringing back lots of lovely memories from our Melbourne trip, and I promised to give her more details when we meet in person. I suggested her to plan her honeymoon also in Melbourne by writing ‘…it's your time to visit Melbourne NOW!’ and then clicked on the send button. Two years back I used to consider shopping online only through eBay or amazon for electronic gadgets, or sometimes some sites to send cake or flowers to friends and family. But over last one year online shopping has evolved like anything in India. From an ipad to hand blander, from cloths & accessories to makeup, from dietary supplements to regular glossary items, everything is available online. Like many of us, even I used to be little doubtful about online shopping. However with the introduction of cash on delivery, trial on delivery, friendly return policy etc., I became confident about online shopping. 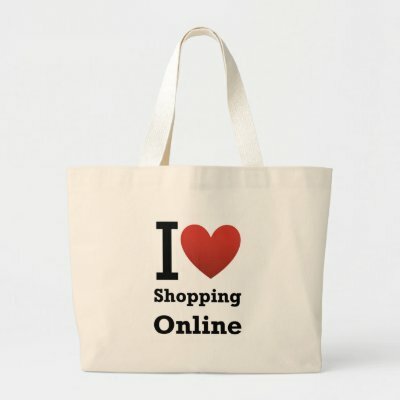 Now I am such an online shopping addict that most of my stuffs are bought online only. Online shopping gives me the chance to see thousands of brands on one site, I can compare prices, check different options and can do shopping on my own pace, with no interruptions from nosy sales associates. I have bought books, handbags, gadgets, shoes, home appliances, and even cosmetics online, but if I have to share my best online shopping experience, then that will be this one. My husband was out of country for official work for 4 months and was coming back in a week’s time. One night on phone he said, once he is back he would like to go to his preferred coffee joint to eat his favorite sandwiches. After he hung the call I got an idea to surprise him. I thought why not I learn the recipe of that particular sandwich and make it for him, once he is back. I goggled for recipe and made a mental note of what all ingredients I need to buy. I wanted to try the recipe at least once before presenting it to my husband, to make sure that I am not making any mistakes. Amidst, I just realized that I don’t have a sandwich maker itself. Going for shopping after office was not possible for me, and if I wait till weekend it would be too late, as husband was coming back on Saturday morning. I didn’t want to drop my idea in any case and looked up to internet for help. After few clicks, I found many options on some of the online shopping sites. I compared the features of different sandwich maker available, their price, the delivery time and came down to what I wanted. I had shopped deals before also from snap deal and I love the gorgeous deals they provide me on spa, salons, and restaurants. Therefore without any further delay I placed my order for the sandwich maker. I got some extra discounts too for using some online discount coupon that I had with me. 3 days later they delivered the sandwich maker, I was very happy with the timely delivery they made. After 2-3 iterations my sandwich was coming out well and I was good to go. “I should shop for 100Rs/- more to get that 5% discount. How about bed sheet” she thought. Pink or blue, was the question. After staring at the screen for 30 minutes and going back and forth the pages several times, she added 3000Rs/- red handbag in her cart and clicked proceed to pay.